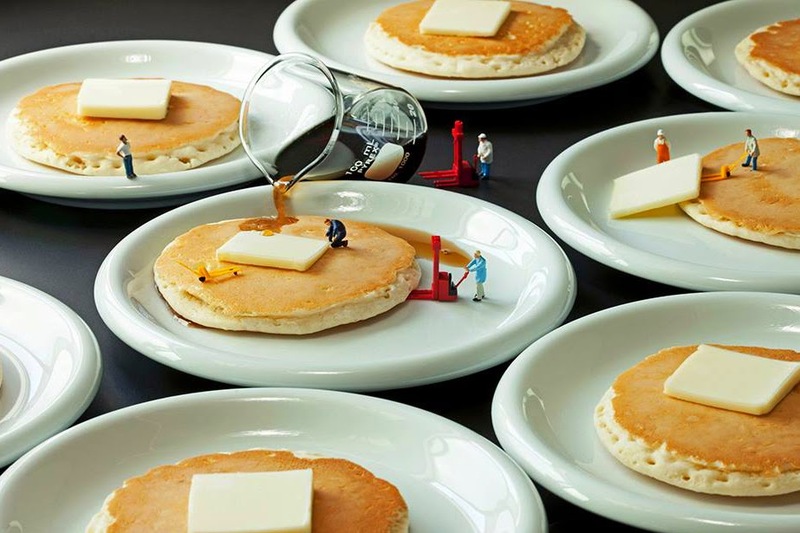 Creative Juxtapositions of Little People in a Big Food Filled World. 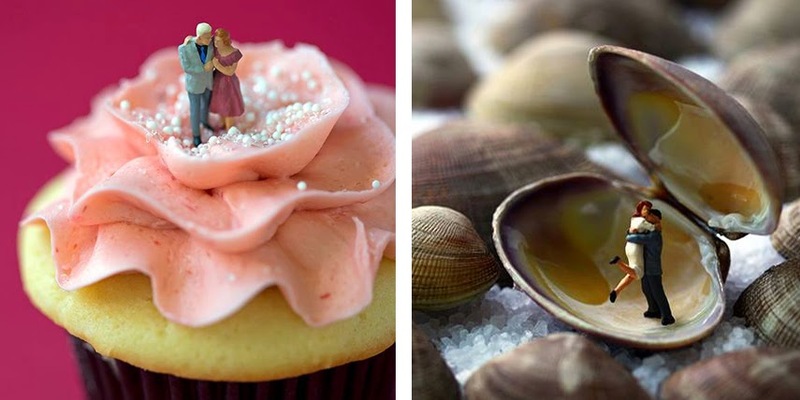 New Perspective on Tasty Treats with a Hint of Sweet, Sassy Humor. Of all the lens choices you have in photography, shooting macro often allows you to achieve new depths of meaning with a shorter depth of field. 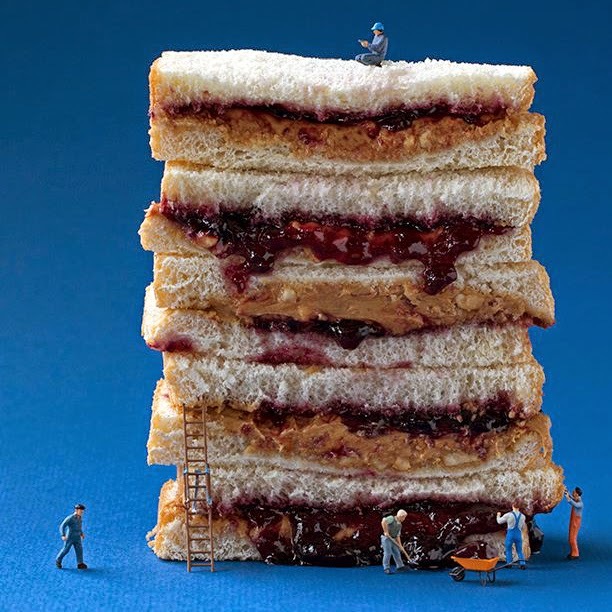 For photographer Christopher Boffoli, getting up close has become his perspective of choice, creating a wonderfully unique style of fun and beautiful photography with his best known series "Big Appetites." Christopher got his start taking pictures in his teens, exploring both journalistic and fine art photography. Now, he makes a living through commercial work, but always leaves time for artistic shots as well. Through each image, you can tell that he has a strong appreciation for color, framing and detail. His love of macro helps him achieve these characteristics quite well. 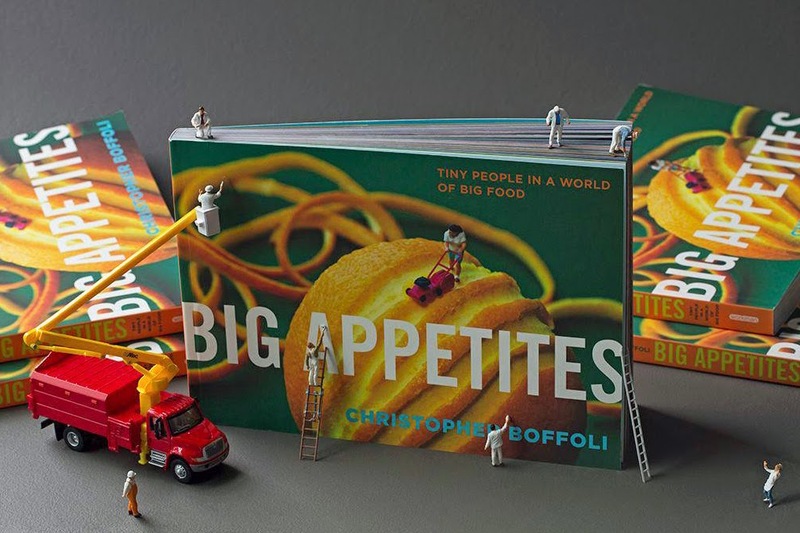 His favored collection "Big Appetites" has a simple premise: little figurines in one-of-a-kind edible landscapes. Christopher puts together various scenes with these objects, comically juxtaposed against each other to tell an interesting story. In some, the food is laid out to remind you of a true every day scene, and others are meant to draw on the nature of the food itself to give the shot meaning. Examples include sugar scenes to look like snow, canoes paddling in a river of soup or cereal and hardworking figures tending fields of vegetables like broccoli in need of mowing. Christopher cites his childhood as his source of inspiration, thinking back to all of the entertainment that paired little with big for comedic and story telling effect. 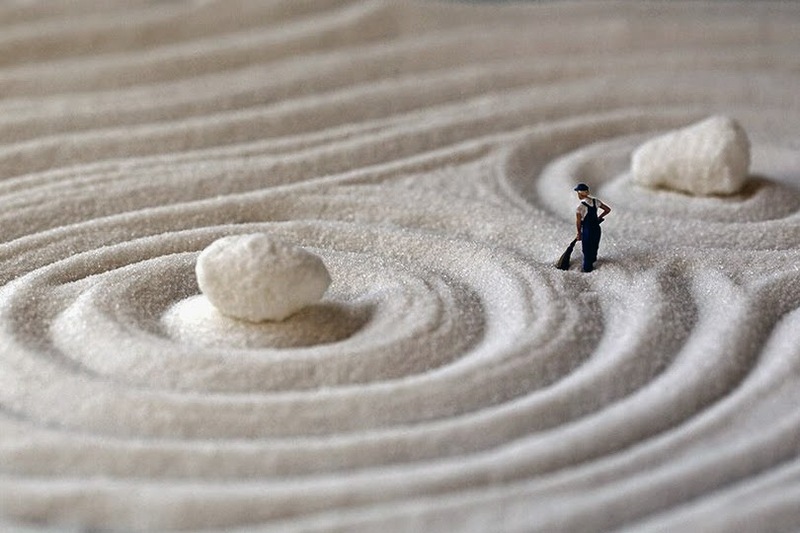 We have certainly seen a fair share of this type of tale, from "Gulliver's Travels" to "Honey, I Shrunk the Kids." I personally love both his visual style and the playful attitude he conveys. This type of photography is designed to draw you in and help you imagine what it would be like to be one of those little people in a big world. Add on the vibrant colors and macro attention to detail, and you have beautiful work any photographer would be jealous of!